BGP soft reconfiguration allows better scaling of policy changes. This module covers the problem of session resets destabilizing BGP, and the first IOS solution to this problem. 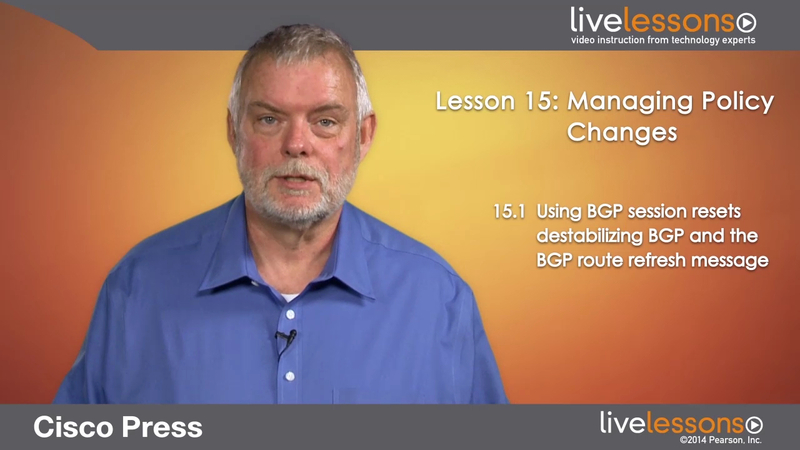 The BGP route refresh message is then introduced and is shown to be the most recent solution to communicating policy changes.